Empower youth to succeed at life through financial education and career readiness. Youthentity engages and empowers youth to discover their potential by providing real-world learning experiences that prepare them for future success. Our goal is to make the Western Slope of Colorado the most financially literate region in the country. We hope that every young person in the communities we serve enters adulthood financially literate, with applicable work experience through our career development programs. It is never too soon to start making healthy financial decisions. With a goal to make the Western Slope of Colorado the most financially literate region in the nation, we continue to grow our three-part personal financial literacy programming. For high school students interested in a career in the culinary arts, restaurant and hospitality industries, we offer two programs: baking & pastry arts, and culinary arts and business entrepreneurship. Both of these after-school programs count toward graduation, and are excellent for resumes and college applications. Students learn about the various career paths within the dynamic construction industry while gaining hands-on experience in teamwork and project management. High school students build skills and receive training from industry professionals while working through real-world projects. Youthentity offers career exposure programs tailored to elementary and middle school students, in which kids interact with working professionals to understand career options and the education and certifications necessary within those roles. Offered in career fair and mini-internship formats. Students aspiring to be architects, engineers or community planners will enjoy our in-depth design program where students will dive into the architecture industry. Led by renowned architect Gino Rosetti, this is a great program for students who like to exercise their creativity while solving problems. We serve students across 5 different counties with our financial literacy and career development programs. For over 10 years our programs have prepared youth to enter adulthood money smart and career ready. Youthentity has two distinct pillars to its organization: personal financial literacy and career development. 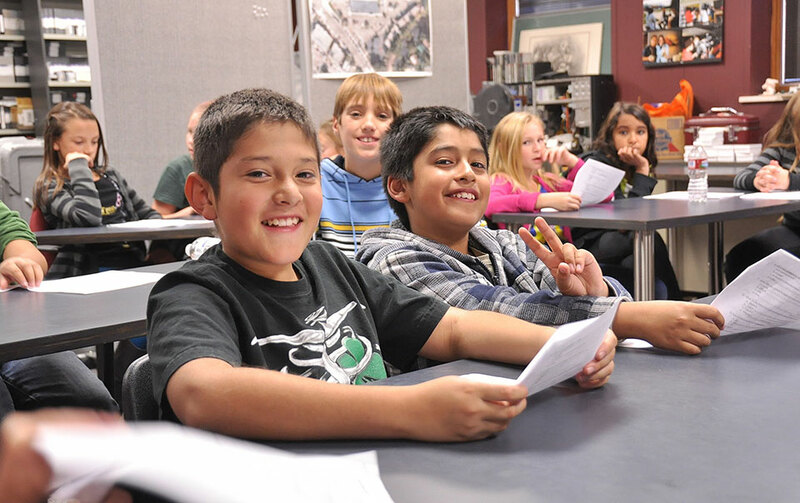 In the 2017-2018 academic year, our programs served over 2,700 students, and currently run in five Colorado counties: Pitkin, Garfield, Mesa, Eagle and Summit. Through career development and personal financial literacy programs we help youth prepare for today’s complicated and uncertain world. Our Design Team architecture program has inspired many students to further study the field in college; our new Engineering & Construction Management program is poised for growth in future years. Our culinary arts, restaurant management and pastry arts program is one of the top 50 programs in the nation for high school students. Our ProStart students compete at state and national level events, and over the past six years have amassed over $920k in scholarships. Our youth internships and career programs help students determine their strengths and interests, and provide opportunities for exploration before making decisions that will impact their position and happiness in the world. Our programs operate throughout the academic year. We serve youth in elementary, middle and high schools throughout the Roaring Fork Valley and the Western Slope of Colorado. Learn more about financial literacy education and career development internships workshop programs, and sign up for the one that’s right for you..
Volunteer your time and expertise to support our community’s kids in discovering their potential and preparing them for successful futures. Our programs could not exist without the generous support of our donors, who make it possible for us to impact the lives of over 2,700 youth each year. Everyone agrees that kids of all ages need to learn financial literacy, how to be responsible team members and to understand their own personalities so they can ultimately choose career and life paths that reward them and their communities. Youthentity helps kids reach those goals with a wide variety of real-world learning experiences throughout the Roaring Fork Valley and beyond.